Edit 7: the western bell towers are now burning internally. Edit 8: Paris fire brigade commander general: “There’s a risk that the great bell falls. If the bell falls, it’s the tower that collapses" (source). Edit 9: some police drone footage. Edit 10: one firefighter was injured (source). 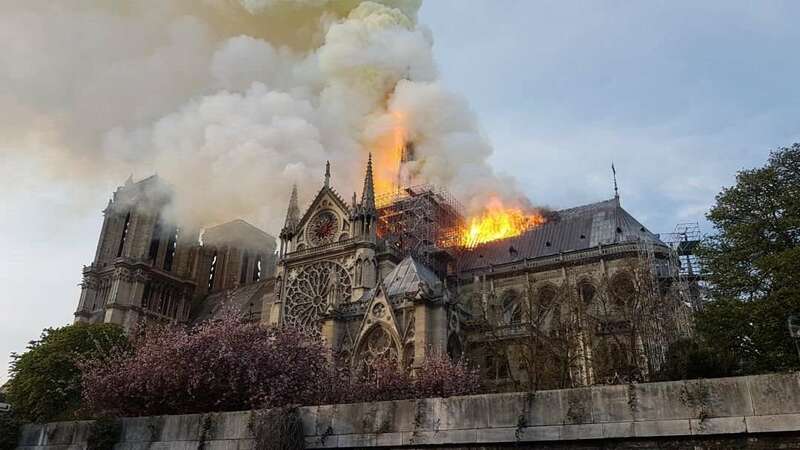 Edit 11: Reuters is quoting an official with the Paris fire brigade: "We can now say that the structure of the Notre-Dame has been saved from total destruction". This page is an archived snapshot of https://external-preview.redd.it/myV2qmpqphoGYDLwnGO-1h1k9Suv4eSrUHSLXwRih_I.jpg taken on 2019-04-16 by The Daily Populous as part of the night edition to create a permanent, immutable record. dailypopulous.com is a non-profit website and has no advertising. This page will not be indexed by search engines. You can contact us at [email protected].